I was getting my technical reading done this morning and ran across yet another article about IPv6 by Woody Leonhard entitled, “Caution: Bumps in the road to IPv6“. One of the main focuses of the article is that you should check your IPv6 compatibility using the features provided by Test Your IPv6 Connectivity. The article also assumes that you have IPv6 installed on your local system if you’re using a newer version of Windows. 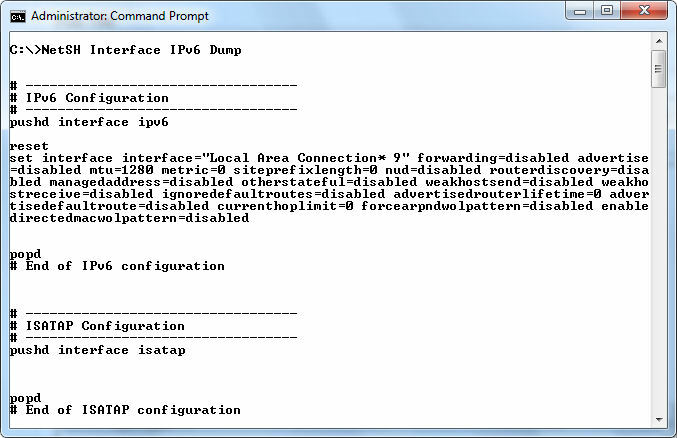 Of course, most people do have IPv6 functionality on their Windows 7 systems, but what if you don’t? 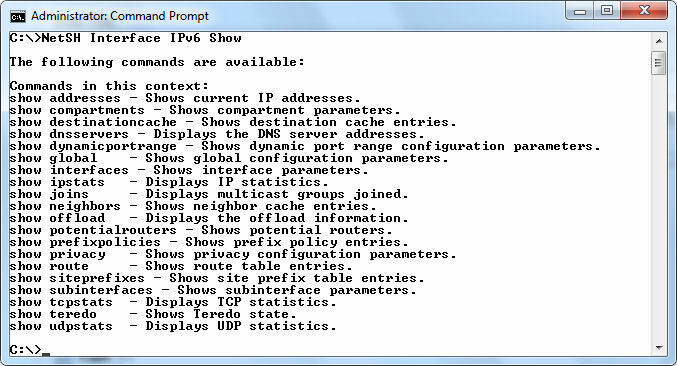 How can you even check for IPv6 functionality? In this case, you can see that the connections do indeed have IPv6 connectivity. 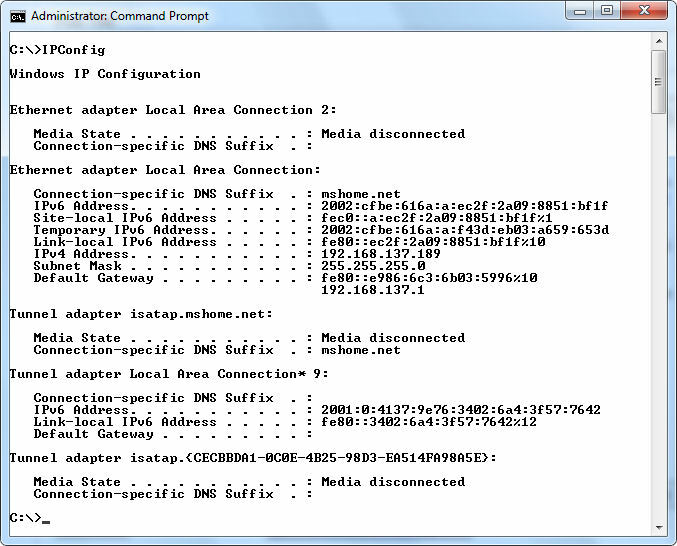 If you need additional information, you can type IPConfig /All and press Enter instead. Of course, the presence of the information doesn’t always mean that the connections are working properly. 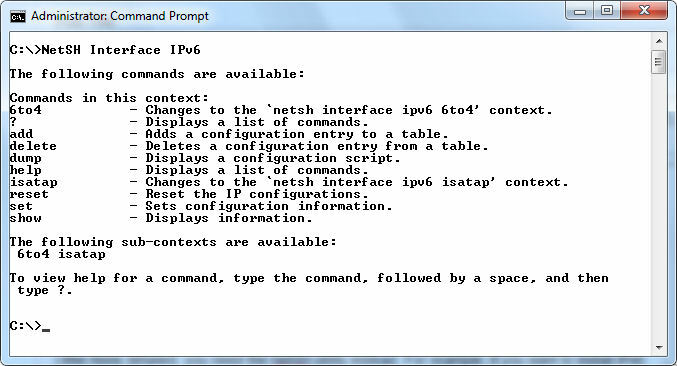 In many cases, you can fix IPv6 problems by using the IPConfig /Renew6 command. There are separate versions of the command for IPv6 and IPv4—the IPv4 version of the command is simply IPConfig /Renew, so make sure you use the correct version. So, if you type NetSH Interface IPv6 Dump > IPvConfig.BAT and press Enter, you end up with a batch file you can use to create a successful configuration on other systems. The Dump subcommand is available in a number of NetSH contexts and you should employ it freely. You can find myriad other uses for NetSH in Chapters 2 and 24 of Windows Command-Line Administration Instant Reference. The IPConfig utility appears in Chapter 9. Let me know about your unique uses for both of these utilities at John@JohnMuellerBooks.com.